• monitor and report the performance and measure the impact of your community investments. 1. Inclusive: Agencies provide personalized service to clients enabling them to effectively navigate the social service system. 2. Collaborative: Agencies actively seek out and participate in opportunities for cross-agency communication and partnership to strengthen the community and the sector. 3. Responsive: Agencies demonstrate a commitment to continuous learning, applying insights and practices to best respond to client needs. 4. Family-Centred: Agencies place families at the centre of service delivery, with the aim of building stability and resilience within caregiver relationships. 5. Balanced: Agencies demonstrate a commitment to providing services that balance intervention and prevention strategies. A Letter of Intent (LOI) phase is the first step in our community investment process with the intention to allow potential applicants to demonstrate how their organization, collaborative, or initiative offers the most promise to achieve UWP’s community impact priorities and outcomes. This year, we received a total of 60 LOI submissions from 39 different agencies for our two primary investment streams – the Long Term Priority Fund and Innovation Fund. A Community Review Team then develops recommendations based on an in-depth and consensus-based group discussion process. The most promising submissions are invited to submit a full funding application. This year, 19 agencies moved forward to submit full funding applications under the Long Term Priority Fund and 5 agencies moved forward to submit full funding applications under the Innovation Fund. All LOI recommendations are then reviewed by United Way’s Agency & Community Services Committee with final approval from the Board of Directors. To be eligible to apply for UWP funding, LOI submissions have to pass three levels of review and consideration. During the second phase of the community investment process, UWP staff complete a preliminary review of all applications to identify any issues/questions. A funding review team scores each application and recommendations are developed through extensive group discussion. The level of recommended funding is established by the review team based on merit, application quality, and fit to UWP’s Community Investment model. All investment recommendations are further reviewed by United Way’s Agency & community Services Committee with final approval from the Board of Directors. The following agencies in receipt of UWP funding pass three levels of review and consideration. Long-Term Priority Funding is used to stabilize agencies that align to the community priorities and outcomes identified by United Way. Agencies receive funding for up to 5 years and are expected to meet the highest standards in organizational accountability. Through our new Innovation Fund, United Way supports non-profit innovators, whether small or large, to design and/or deliver new initiatives that meet identified emerging social issues. Innovation Funding is one-time funding provided for up to 2 years to an individual charitable organization for their own initiative or to serve as the lead on a multi-agency initiative. United Way wants to make neighbourhoods safe and strong across our community. Neighbourhoods thrive when there is strong resident engagement and local leadership to achieve positive change. In 2016, United Way will be launching our Neighbourhood Fund to support grassroots neighbourhood and resident development. 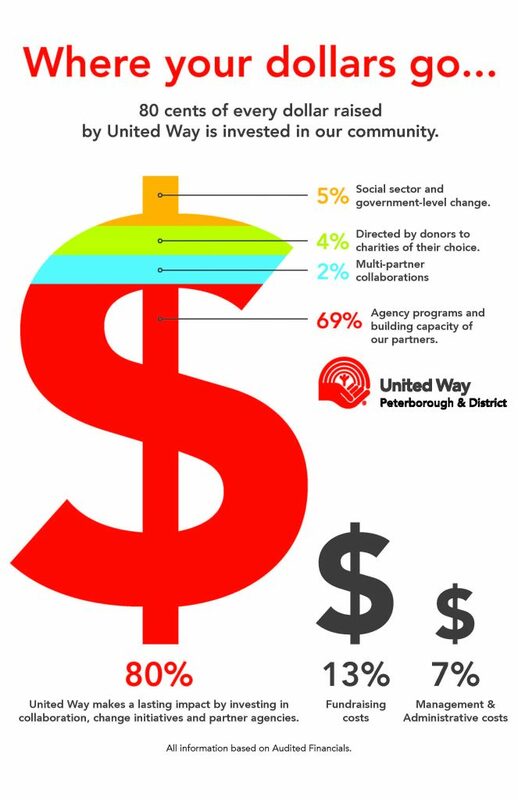 United Way Peterborough & District’s (UWP) commitment to this community’s youth continues. On March 23, United Way Board of Directors approved the distribution of $1,650 through the 2015 Youth Grant Program. Thanks to donors and community partners, for the past 10 years UWP has provided funding up to $500 (to a maximum of $2,000 annually) for youth led projects in the community. The total dollars distributed through Youth Grants in that time is more than $15,000. The Youth Grant Program offers funding opportunities for youth-led groups working to bring attention to and address concerns they are passionate about, to their peers & communities. United Way Peterborough & District’s Backpacks for Kids program works to address issues of poverty by providing backpacks to children and youth in our community who wouldn’t normally be able to afford new school supplies. Each new backpack contains common items required for school and is customized for each grade level. Our program strives to ensure that all students in need are ready for school and over the last 10 years we have distributed over 8,489 backpacks. United Way Peterborough & District’s Coats for Kids and Grown-Ups Too program strives to keep children and their families warm during the cold winter months by providing clean, gently-used winter wear to children, youth, and adults in Peterborough City and County. Since the program’s inception over twenty-nine years ago, thousands of coats have been distributed throughout our community. In the last ten years alone the Coats for Kids Program has distributed more than 15,000 pieces of winter wear. Since 1986, individuals and families have donated gently used winter wear which is then cleaned at no cost to the program by local dry cleaning providers. 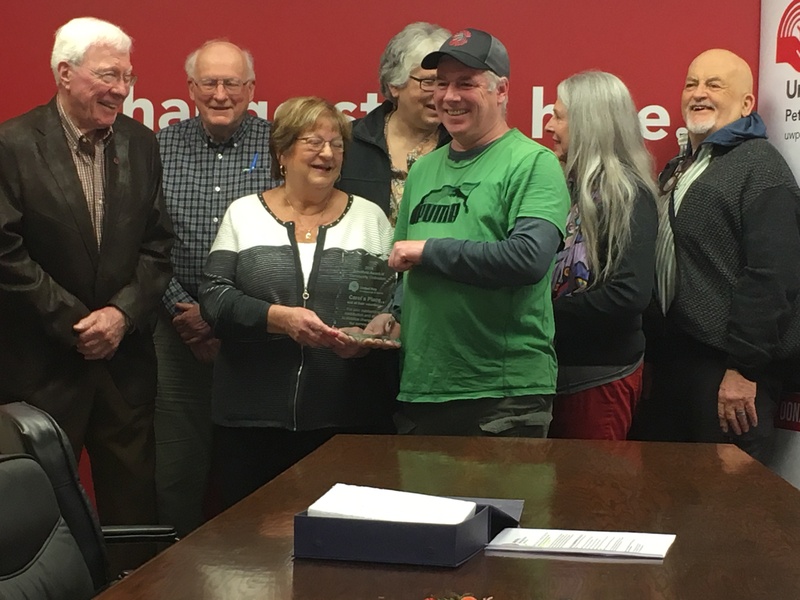 Kent Cleaners, Rocky’s Cleaners, Ferguson Cleaners, Grainger’s Cleaners, and Windsor’s Dry Cleaning Centre have been active and committed program partners since the program began 29 years ago. Donated items are collected in the Spring for distribution in the Fall. The partnership between the Canadian Labour Congress and United Way Centraide Canada developed more than 30 years ago as a way of ensuring workers and their families had access to social services in their communities. 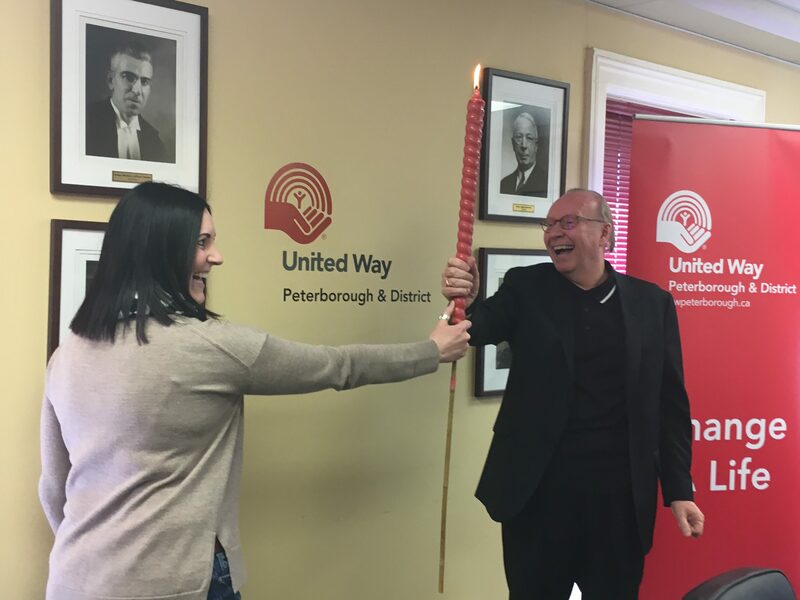 Locally the partnership is represented by United Way Peterborough & District and the Peterborough and District Labour Council. United Way’s Labour Programs and Services has been engaged with community partners in establishing The Workers Action Centre whose primary focus has been to advocate for an increase to the minimum wage and address the growing issue of precarious employment and its impact on working people in our community. About HPS Funding: The HPS program is committed to ensuring that vulnerable Canadians who experience extended or repeated periods of homelessness have access to quality housing through a Housing First approach. Housing First involves giving people who are homeless a place to live, and then providing necessary supports to help them stabilize their lives and recover. About the HPS Funded Project: From April 1, 2015 to March 31, 2017, Fourcast will be provided with a total of $263,000 over the funding period, to support the work of the Homelessness Coordinated Response Team (HCRT). HCRT has been working collaboratively for the past three years to leverage existing supports for those experiencing homelessness living in the emergency shelters or in the community. 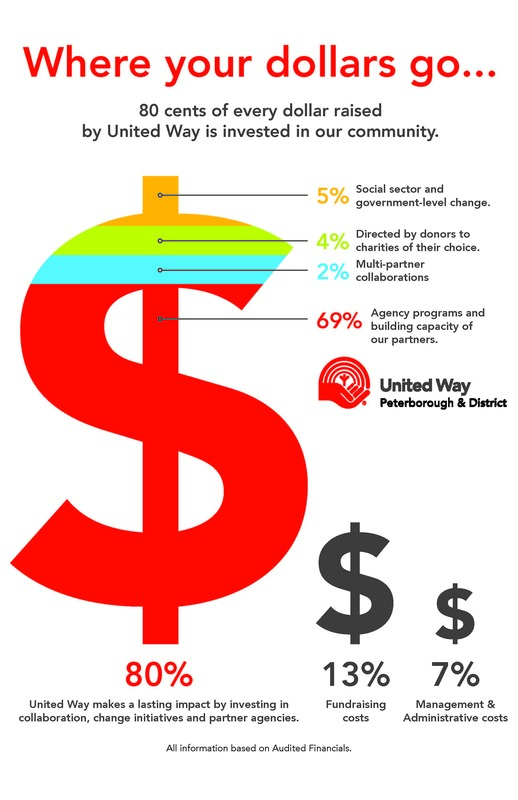 About United Way Peterborough’s Role in HPS: For over 7 years, UWP has been overseeing the distribution and use of HPS funds in Peterborough, accountable to both a volunteer Community Advisory Board, comprised of seasoned local leaders working in housing and homelessness, and the Federal government.